On-line sales of top quality books. 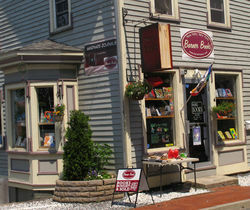 Also operating BARNER BOOKS in New Paltz New York - outstanding selection of Used, Out-of-Print and some new books. Barner Books features a broad selection of handmade journals. Full guarantee--if not satisfied, please return book for full refund.